Ann Christiano is the Frank Karel Chair in Public Interest Communications and the director of the newly established Center for Public Interest Communications. In that role, she is developing a first-ever curriculum in public interest communications, connecting practitioners and scholars who are already working in the field, and nurturing and sharing research that can advance this newly emerging academic discipline. Public interest communications uses science-driven strategic communication and storytelling to advance positive social change. Ann directs the frank gathering, which brings together hundreds of leaders from around the world who are working at the front lines of social causes, as well as scholars and funders to share the best of what they know in Gainesville every February. Before she came to the University of Florida, Ann was a senior communication officer for the Robert Wood Johnson Foundation, where she directed communication efforts for programs that address the social factors like housing, education and mental health that drive health and well-being. 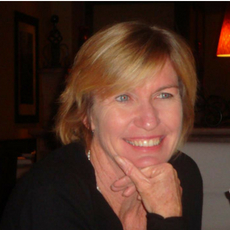 Ann’s writing has appeared in the Stanford Social Innovation Review and Quartz and she was the University of Florida’s Teacher of the Year in 2014. Her work through the Center includes partnerships with the United Nations High Commissioner on Refugees, The Department of State, and several agencies that work in this domain. She has worked with several federal agencies, the Gates Foundation, and nonprofits and other foundations throughout the United States. She regularly trains scientists and other leaders to more effectively convey the importance of their work. 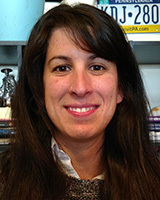 Annie Neimand is the director of research for the Center for Public Interest Communications, housed in the University of Florida College of Journalism and Communications. As the director of research, she works with organizations to apply behavioral, cognitive and social science to their work. Center partnerships include the United Nations High Commissioner for Refugees Innovation Service, The United States Department of State, and public interest communications agencies in the United States. 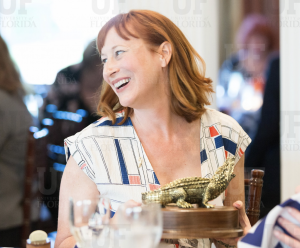 For five years, she has led the research arm of frank, an annual meeting in Gainesville that connects practitioners, funders, scholars and activists working on public interest communications around the world. In this role, she connects the field of public interest communications practitioners to research. She is part of the frank Academy Training team, where she integrates research from a range of academic disciplines into communication trainings for scientists and non-profit leaders. 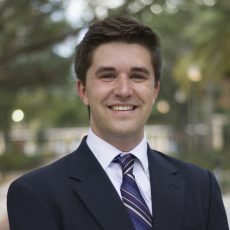 Trainees have included the Bill and Melinda Gates Foundation, National Academy of Medicine, scientists and program officers at the National Institute for Food and Agriculture; University of Florida scientists, program leaders and educators; and many foundation and nonprofit communicators. 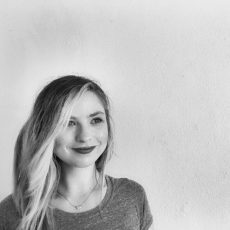 Her writing has been featured in the Stanford Social Innovation Review, The Conversation, Quartz, Salon, The Huffington Post, and Newsweek. Annie is a trained qualitative researcher, with expertise in interviewing, focus groups and ethnography. Her areas of study include the social and psychological underpinnings of public interest communications, science communication, and social movements. As the Center’s director of programs and training, Ellen Nodine oversees the daily operations and provides leadership in the strategic direction of the unit. As a member of the frank strategic communications academy, she delivers in-person and online training to various constituents. She also teaches writing as an adjunct faculty member for the College of Journalism and Communications. She received her Master’s in Education from the University of Florida, with a specialization in Curriculum Design and Education Technology. Her master’s thesis examined the ability to establish social presence in an online community through the use of Twitter. Bruce S. Trachtenberg is a marketing and communications consultant to the Center for Public Interest Communications. Before joining the Center, Trachtenberg served as executive producer and editor for The Atlantic Philanthropies. At the foundation, he oversaw production and dissemination of a series of “legacy” products designed to inform current and future donors about how Atlantic–which plans to close in 2020–supported its grantees around the world to advance opportunity and promote equity and dignity. 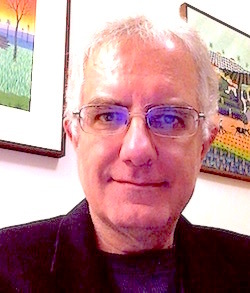 In earlier years, Trachtenberg served as executive editor of the frank website and from 2006-2014 he was executive director of The Communications Network. During his career, he also held senior communications posts at two other national grantmaking foundations and worked in the technology and banking industries. He started his a general assignment and sports reporter for The Oregonian in Portland. He holds a bachelor’s degree in history from Portland State University.